Parsons Table crafted from 100% salvaged and re-purposed wood. 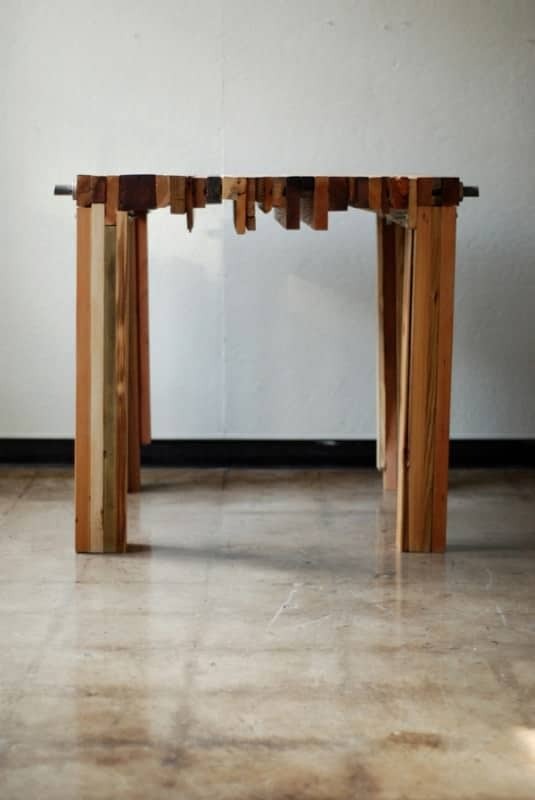 This one of a kind table was created with several dozen individual found, salvaged, traded, and reused pieces of lumber. The individual members create a surface of evolving colors and textures. It is truly an interactive surface that you want to slide your hand across to feel. 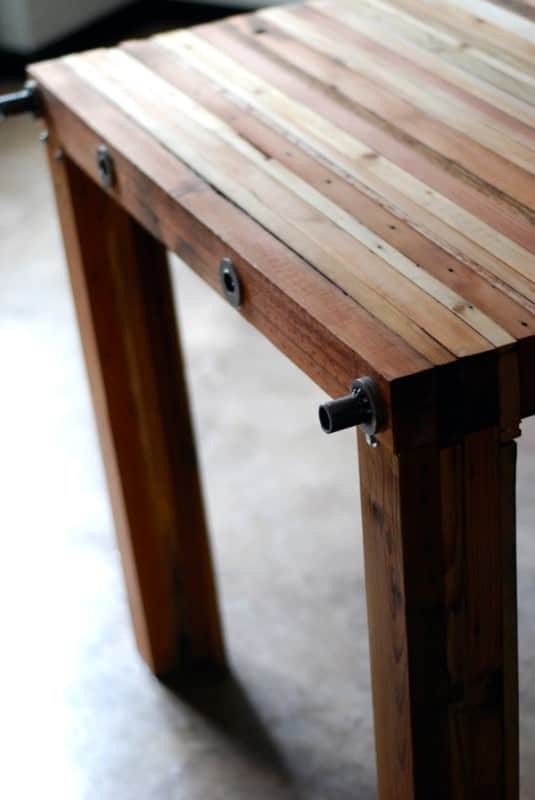 The lumber is held tightly together with two reclaimed steel pipes that perforate through each piece while providing support. 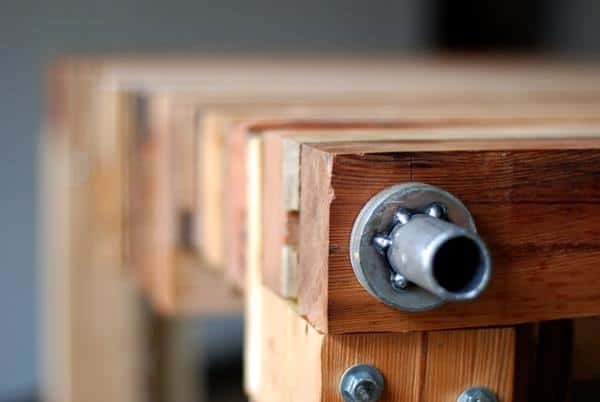 The table surface is held in compression and fastened with washers welded to each pipe on end, no glue, no nails or screws. The language of the tabletop grows down to the ground rooting itself firmly from all four corners creating sturdy legs. More information about this project can be seen at bmwagner.